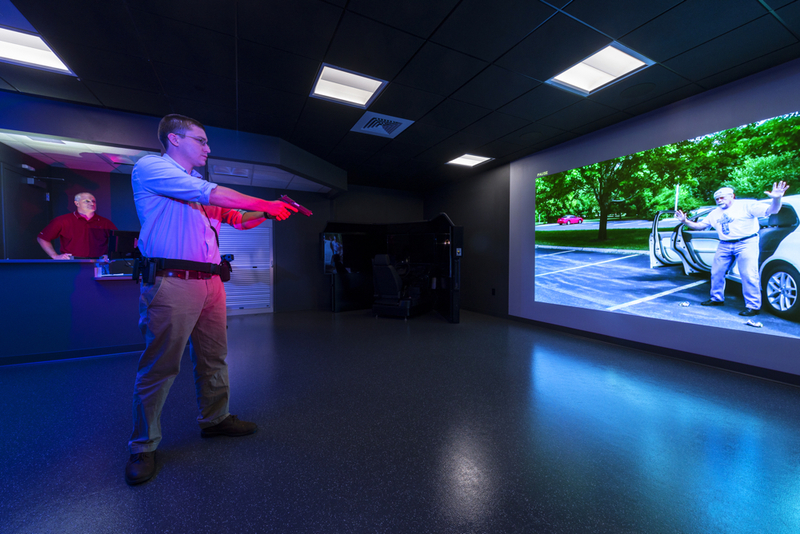 The New Hampshire Public Risk Management Exchange (Primex3) engaged the team to program and design a new Experiential Learning Center to provide advanced simulation training for its members as well as organizations throughout the region. Each space in the 5,500 sf Center is designed to be flexible to support experiential learning. The Center includes multi-purpose simulation labs to support a variety of learning scenarios including human resources, risk management, and healthcare encounters as well as specialty labs designed specifically for law enforcement and a wide range of industrial/work place simulations. 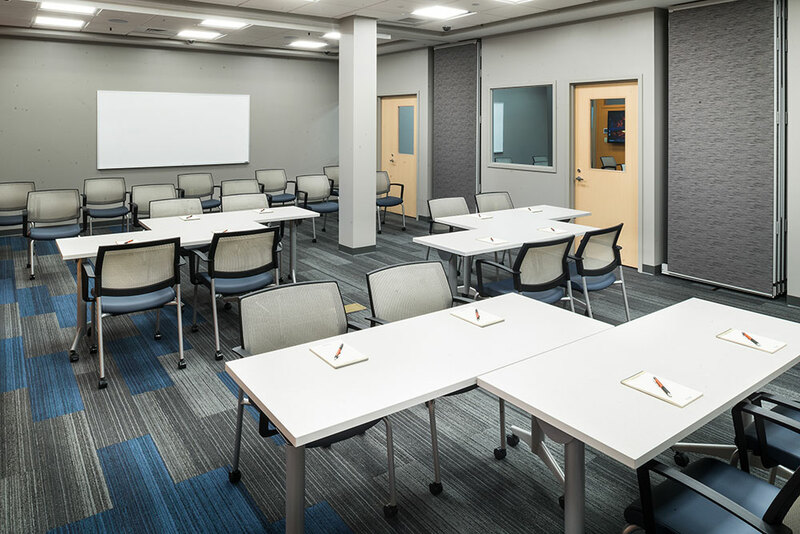 The Center also features a flexible, multi-purpose room for reception, waiting, simulation, and a space that allows “learners” to de-stress between simulation activities. The design of the Center features distinct “on-stage” and “off-stage” zones to enhance the realism of the learning experiences by separating circulation paths between learners and actors, observers, and instructors.